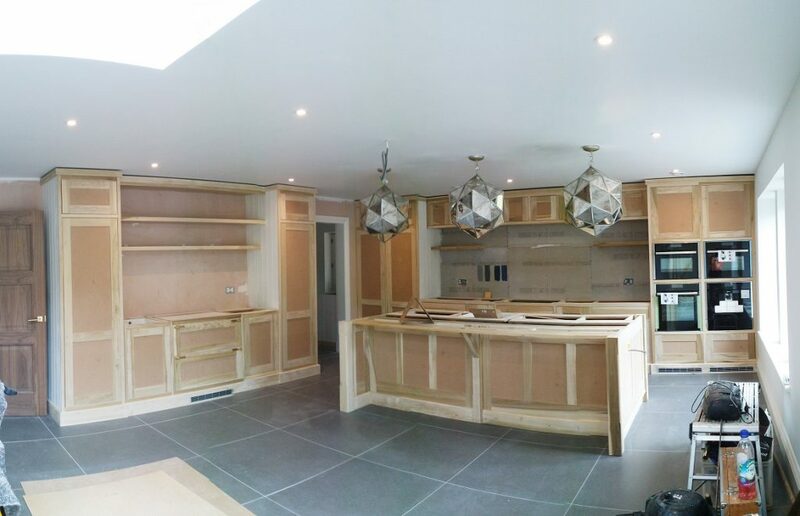 From mid April ’16 we’ve been designing, building and installing one of our bespoke cabinet kitchens. 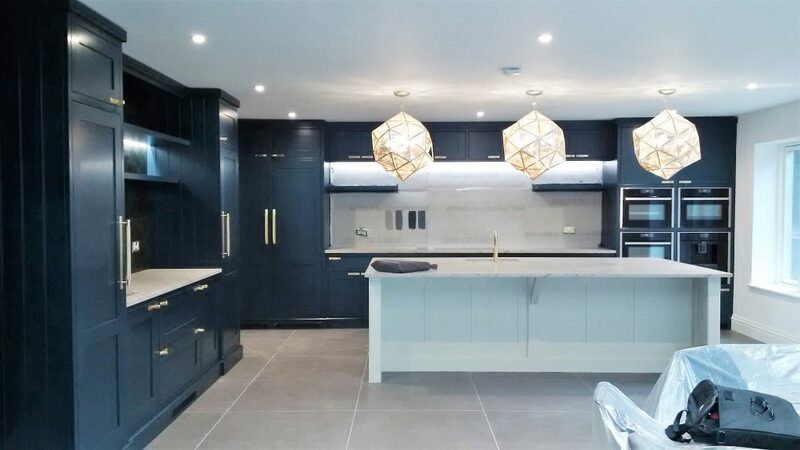 Together with this our client also commissioned a utility room, bathroom vanities and a home cinema kitchen to be designed and made for their stunning new property in the village of Quarndon, Derbyshire. 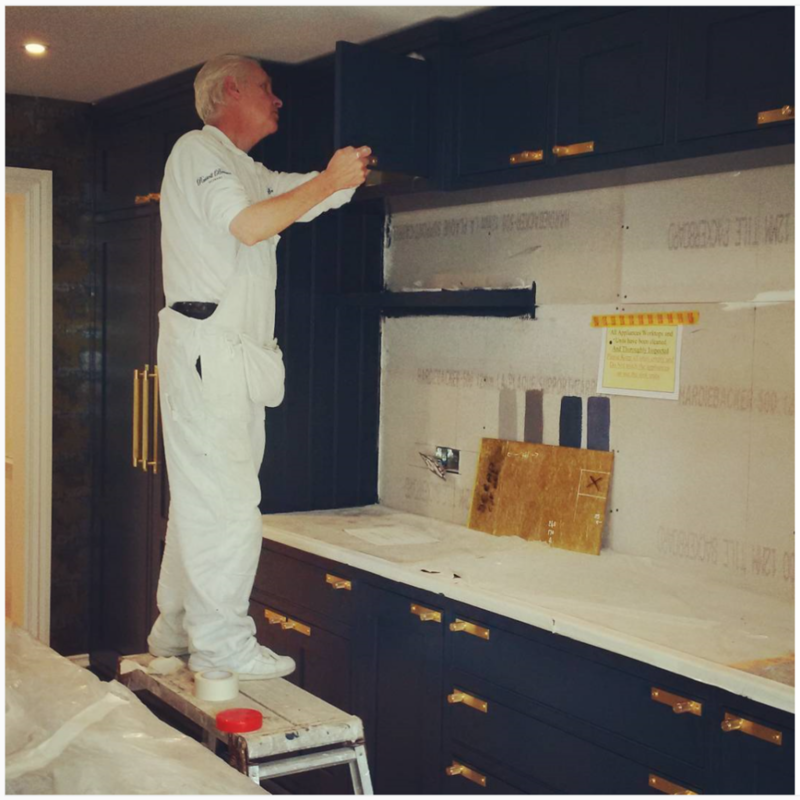 Before being hand painted on site by our specialist painter Russell Brown Interiors, our tulipwood kitchens look like this above and below we have the nerve racking moment the giant slab of leathered finish Ivory Spice granite is installed by Impala Stone. Our specialist painter then painstakingly applied the oil eggshell ‘Hague Blue’ and ‘Shaded White’ from Farrow and Ball. 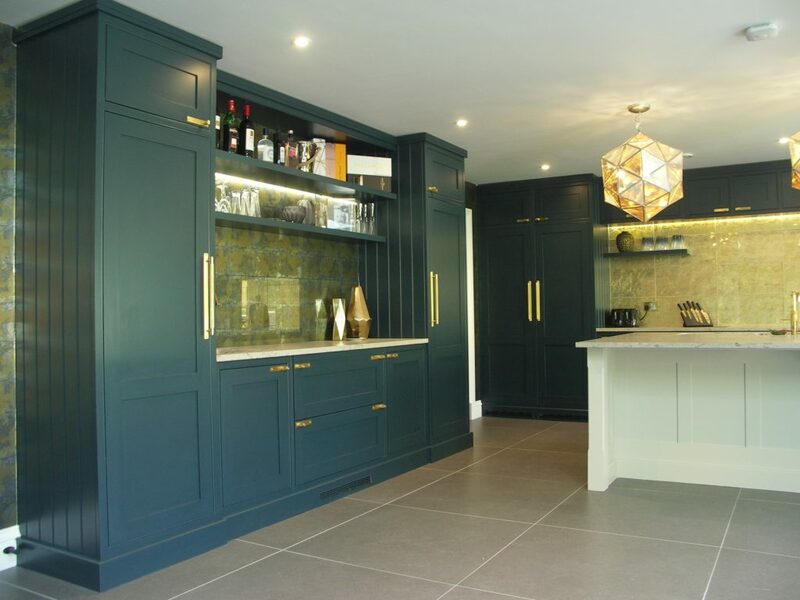 The overall room scheme, colours and finishing touches are by Lucy Coultard of Lavendergrey, Belper.